Fran C. Hafen has captured in words the very thoughts and emotions of a grieving mother's heart and mind. She skillfully describes the grieving process through her own experience — stages like shock and anger — and illustrates that it is natural and appropriate. She is bold enough to share her most intimate thoughts regarding the gospel of Jesus Christ, and her probing questions about it, all while maintaining her steadfast testimony in it. In the end, Hafen shows that through the evolution of time all will be well. As one reviewer said, "It is one of the most meaningful gifts that can be given following the loss of a child — because it hurts, and it hurts for a long time — but the book provides the hope of healing, and eventually joy." I read this book even though I have never lost a child of my own. This book gave me such a great understanding of how others felt after the loss of a child, and what ways I could better help them. 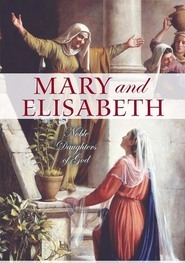 A very well told story, with helpful information, a very spiritual book! 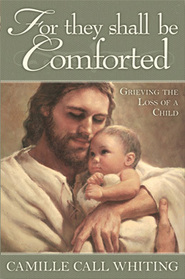 I picked up this book to learn more of dealing with grief in the Lord's way. I am not a mother nor perspective mother. There is great comfort, peace and healing in this book's pages no matter what kind of grief you are experiencing. Sister Hafen's testimony of healing through the Lord fits all of our circumstances in this mortal journey. I recommend it to everyone, no matter your situation or gender. This book is incredible. It is much more than the story of a grieving mother, it is full of wonderful lessons and truths. It helped me with my own grief and also helped me to know how to help and comfort others.